I hear quasi-questions from people sometimes about how I celebrate Mass. The questions usually go something like this, "Gosh, Father, you don't smile a whole lot when you celebrate Mass" or "You seem pretty serious up there" or "What is with the overly-pious hand-folding?" I certainly understand these questions; on the way home from Masses when I was growing up my brothers and I used to rip into the people who were "overly-pious." I'd like to take this opportunity to share with you why I celebrate Mass the way I do. An Icon is a special form of religious art that is rooted in the Eastern forms of Orthodox Christianity. Icons usually feature a yellowish background with a figure of Mary, Christ, or a saint "written" on top (Icons are not "painted" but "written" in a very elaborate way which gives the art form its special look). Those who are looking for realism will likely be disappointed as the figures in icons are almost always somewhat distorted or misshapen. A key feature to icons is their two-dimensional nature. Icons never are "written" with the "depth" dimension; this feature also gives them their unique look. The reason that icons lack the dimension of depth is very important to their spiritual nature - meditating on and praying in front of an icon reminds a person that there is a deeper "reality" or "depth" than the image itself. The icon is never an end in itself (unlike most art in the West) - it serves as a big flashing arrow to the "beyond" and serves as an invitation to "go deeper." What is the point of this? Archbishop Fulton Sheen, in a series of reflections on the priesthood, talks about how a priest is to be an icon of Christ (this is an ancient teaching, as Sheen acknowledges). What does that mean, then, for the priest? It means, quite clearly, that a priest is not to celebrate the Mass in a way that would get people to marvel at the priest HIMSELF - he is to celebrate Mass by "getting out of the way" of Christ; he is to be a priest in a way that people are not distracted by his actions and mannerisms but instead are encouraged to "look beyond." It is for this reason that St. John the Baptist says "He [Christ] must increase, I must decrease." Many priests seem to celebrate Mass in a way that does interfere with peoples' ability to encounter Christ; many priests seem to celebrate Mass in a way that encourages people to stop and look at them; things are either done dramatically or sloppily or both, usually with the desire (usually sub-consciously) of getting attention. Many priests seem to think that they need to make the Mass more "digestible," but that usually involves making it more about them, whether they realize it or not. I know most see me and think to themselves "relax" or "let your personality shine through," and I think priests that celebrate Mass the way I do are often viewed as unoriginal, stiff, lacking in personality, etc. To this I would say that it would be SO EASY to be up there as a priest cracking jokes, being smooth, having a good time, taking the spotlight for myself. That would be SUPER EASY, but it would also be hijacking the Mass for my own personal desire to be loved and worshipped. I abhor the thought of celebrating Mass like Jay Leno or some other TV host for two reasons now. A) I would be using the Mass for myself instead of being an icon, instead of getting out of the way of Christ, instead of being someone who celebrates in such a way that Christ, the Great High Priest, is made more fully known. I also detest the "Mass is about me" style of worship because it turns the Catholic Church into "cults of personality." If one priest is smooth, polished, tells good jokes, smiles at everyone all the time, etc. what happens when a priest who, despite being a good person, lacks that "charm" comes to the parish? Everyone is going to say, "wow, this priest is terrible." When people ask the question "why so serious?" I know what they are wanting and I don't think they are bad people for wanting more relatability and hospitality and so forth from their priest. However, if we think about the long term spiritual effects of encouraging our priests to be showmen, I think the dangers become much more apparent in fostering that attitude among our clergy. Do you go to Mass to encounter "Christ the High Priest" or do you go to be entertained by your priest? Separated by some 40 years in the lime light, speaker of the house Nancy Pelosi and Cardinal Henri De Lubac (a central figure in the Second Vatican Council) seem to verbalize the two mindsets that rest on either side of the way Catholics understand the Church today. Let us allow them to lay the two positions out for us. And your winner by knockout in the first round - De Lubac! "Catholics live in an enchanted world, a world of statues and holy water, stained glass and votive candles, saints and religious medals, rosary beads and holy pictures. But these Catholic paraphernalia are mere hints of a deeper and more persuasive religious sensibility which inclines Catholics to see the Holy lurking in creation. As Catholics, we find our houses and our world haunted by a sense that the objects, events, and persons of daily life are revelations of grace." Greeley goes on to famously make the case (one that has been made before him) that we need to recognize the importance that culture and art play in helping to bring people to Christ. Often times, we neglect this aspect of the battle as Catholics, although it is quite clear that it is our faith that has principally championed the building up of culture from the beginning. While some of the protestant reformers and their followers smashed statues and destroyed all artistic imagery in Catholic Churhes throughout Europe, the Catholic Church has always been about the "smells and bells" - and it is the Catholic Church that has believed that a walk into a beautiful cathedral or basilica can be just as effective as a verse from the Catechism at inspiring conversion in the heart of a sinner. To that end I want to pass on an AMAZING short film that I hope you take the time to watch. It is from a recent independent film festival called the doorpost project. It shows the way for many youngsters thinking about entering the arts (writers, singers, producers, directors, painters, wood and metal workers, architects) that the arts and culture are IMMENSELY important in the effort to both destroy the culture of death and build up a culture of life. The behind the scenes documentary of the film is also important. Finally, check out "Grassroots Films," a group out of New York. They are really leading the charge in Catholic Film work. 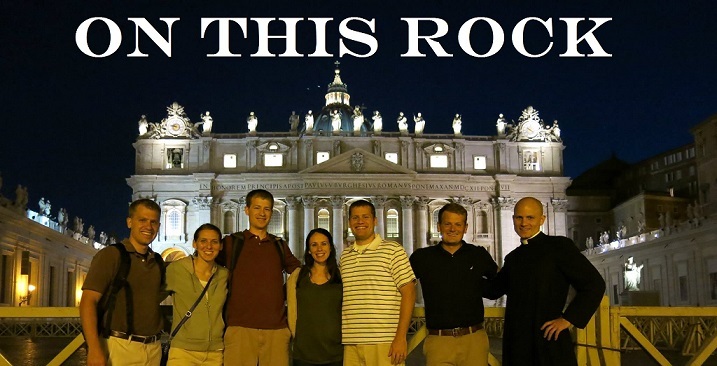 Find someone doing good Catholic work in one form of art or another AND SUPPORT THEIR EFFORT. Our seniors spent Monday at the IUPUI library learning about other ways to do research besides wikipedia and google; they actually learned how to pick out a few books on a subject! One of my students is doing research on the history of cartoons, and he came asking for help. I asked him what he had found so far, and he told me, "Well, Father, I was reading on the Vatican's website about how Homer is a Catholic..." Inside, I laughed very heartily and thought, "This is why teaching is the best thing ever." I assumed that whatever he had read on the Vatican's website was something referring to Homer the Greek poet. Was I ever wrong! The internet is buzzing with the news that the Vatican's newspaper proclaimed Homer, yes Homer Simpson, a Catholic. You can probably find the story just about anywhere you want with a quick Google search. Unfortunately, because the paper doesn't come out online (neither in Italian nor in English) there is no way to read the entire story, so we are left with only the excerpts the media has chosen to lift out of the article. Nonetheless, this is surely highly confusing for many Catholics. 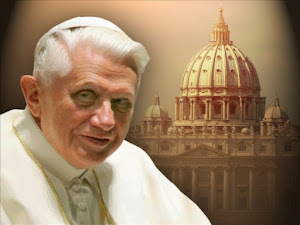 It is important to remember at this point that L'Osservatore Romano, while being the newspaper of Vatican City, is not THE VATICAN! In the past, the paper has had other controversial oped pieces and so forth, and it seems that THE VATICAN, in attempt to prove that it isn't overly controlling of the press, has cut the paper loose from anything resembling oversight. So be sure that when you hear something was said by L'Osservatore Romano you distinguish it from being said by the Vatican itself. Fr. 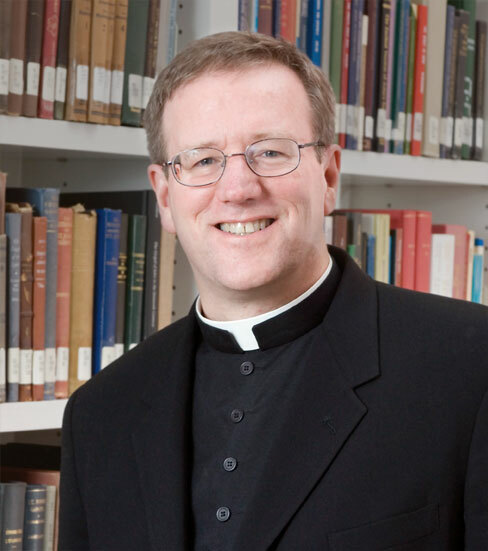 Robert Barron, who I've mentioned on here before, is a priest for the Archdiocese of Chicago and a professor at Mundelein Seminary. He has taken the lead on the new evangelization via YouTube and other services, and has a fantastic website: wordonfire.org. Now, like Archbishop Sheen back in the day, Fr. Barron has a show on national television that discusses Catholicism and engages the larger culture. I saw his first show a few Sundays ago, and it was very well done! It is definitely worth a half hour on a Sunday morning. I believe the show starts at 10 a.m. eastern time - give it a look see. Purgatory? First Saturday Devotion? Our Lady of Fatima? A lot of times I get questions about Catholic teachings, and that's awesome; I love trying to help people grow in their faith. A great way to answer those on your own, though, if you ever need a good, brief, orthodox answer on something you can bing or google "Catholic Answers (insert your question here)" For example, if I wanted to know about the Church's teaching on purgatory, I can type in "Catholic Answers purgatory" Also, catholic.com has a nice encyclopedia of topics that will usually provide relevant scripture passages and quotes from magisterial documents. I'm not trying to save myself from answering your questions - I'm just letting you know in case you need a quick answer or you want to know what I use to answer people's questions! "Don't Ask Don't Tell" What Does It Mean For Catholics? A student at Ritter came up the other day and asked for help on a research paper. She said she was going to be doing a big project on the "don't ask don't tell" policy of our U.S. military. She wanted help tracking down some sources. I was interested in her question and I had wondered the same thing myself. I came across an interesting news report from Catholic News Services (certainly no conservative outlet) that warned that if "don't ask don't tell" were ever repealed, it would likely be the case that chaplains to the military would not be accepted from any religious group that openly considers homosexuality a sin (the Church only considers homosexual acts a sin, but most don't believe there is a difference between judging the acts and judging the persons committing them) (read the story by clicking here). The military is already starving for priests as a large percentage of our military personnel are Catholic. I came across an article in the Phoenix Catholic Sun that notes that 28% of our service men and women are Catholic, but only 8% of our chaplains are Catholic. If "don't ask don't tell" gets struck down, an already underserved Catholic population could potentially be completely cut off from receiving the sacraments. Let's pray that it doesn't happen. Dynamiting the Culture of Death and/or Building Up a Culture of Life? That our society has a love affair with death (to paraphrase Pope John Paul II) is obvious to all, regardless of political or ideological affiliation. With so much in our government fighting and working against life, sometimes the temptation for us pro-lifers can be to spend all our energy on "dynamiting the culture of death." What I've been reflecting on recently, though, is the idea that we, as pro-lifers, also need to make sure we are spending energy on "building up a culture of life." Destroying laws and apparati that are currently in place is much-needed, but we also need to know what our plan is in a positive direction. In the current political climate, a lot of candidates are running solely on the idea that they are "non-democrats" or "non-Obamaites." However, the public doesn't just want to know what a candidate is NOT, they also want to know what the candidate stands for in a positive sense. I believe that the pro-life movement, with reflection, knows what it stands for; I don't mean to suggest that pro-lifers don't have a plan, it just seems to me that sometimes the message is lost. The pro-life cause needs to be railing against current evils while ALSO talking about what a "culture of life" actually looks like - and how one should go about building it up in our society. Do All Non-Catholics Go To Hell? My homily from the Ritter Mass on the memorial of St. Francis exploring religious differences. When I say that religious differences are good I'm referring that they are good in that they lead to fruitful discussion; I do believe that, ideally, everyone would embrace Catholicism. Anyone who has been driving around the Westside of town has probably noticed the billboards for a new Christian place of worship calling itself the “blended church.” These billboards advertise an atmosphere that features “no judging.” I have also seen a sign several times on the Westside that offers “no rules, no judging, just Jesus!” These slogans sound good, but do they hold up? However, we have to match that quote from Jesus with Saint Paul’s exhortation to preach the Truth with Love. Would St. Paul have encouraged us to preach the Truth with Love if preaching the Truth with anger were not a temptation? St. Paul does acknowledge, then, that it is a challenge to keep Love and talking about Truth together, which is why we see some people failing in this regard, and settling for the easy route of talking about right and wrong AND judging at the same time. All this being said, we must also admit that St. Paul didn’t say, “Don’t preach the Truth because it is hard to do it with Love. Since it is hard to do it well, don’t try in the first place.” Talking about right and wrong is a command from the Scriptures, and those who try, through their words and their actions, know this command is true precisely because they experience it as difficult and challenging and hard; the kind of hard that lets us know that at the end of the day it is what we ought to be doing. What people really want today, even if they don’t say it themselves, is to hear someone talk about “right and wrong.” When I walk around town and talk with colleagues and students at Ritter and meet people in all the various ways that priests encounter people I see something in the eyes of a lot of people that shows me that they are hungry for the Truth. They want someone to talk to them about the Truth with love. If we are embarrassed about our faith, or if we think it is something that should really be shed so that we can achieve unity, we have become people completely of this world. May God grant us the courage to preach the Truth with Love no matter the cost.